DIRECTIONS FOR USE: Apply locally on your teeth either from brush or your fingers and massage gently. 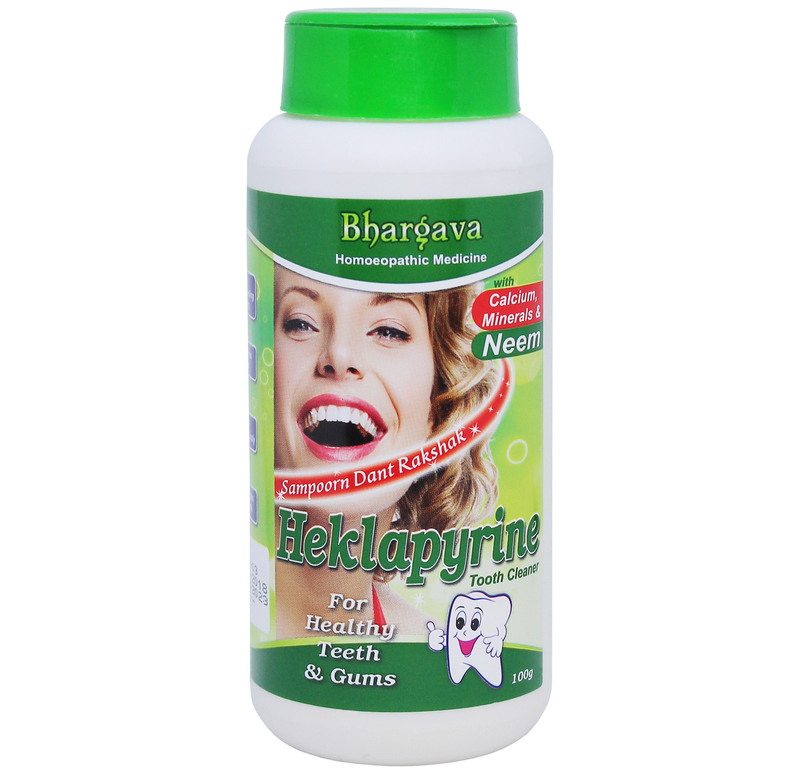 Doctor Bhargava Hecklapyrine Tooth Powder is a result of techniques perfected over 100 years of practice. It helps to clean and polish the teeth and remove stains and also treats pyorrhea. Start taking Homeopathic medicine today and get the best treatment.